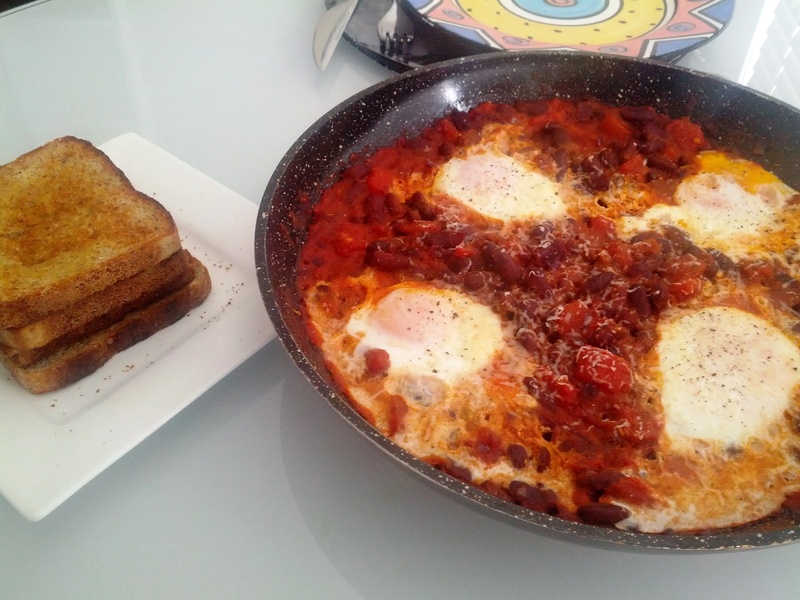 Love these quick, spicy eggs that can be whipped up anytime, not just for brekkie! Lot's of different variations and if you don't have all the spices listed just use what you have in the cupboard. I read one recipe that only uses sumac. 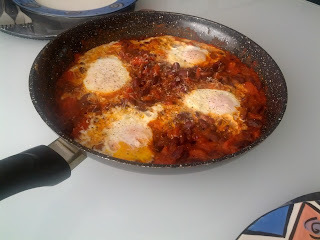 spices, seasonings, red pepper, & chilli over a medium heat until the onion is softened, about 8 minutes. Add tomatoes, and beans and simmer over a gentle heat until thick and rich. Depending on how soon you want to eat, this can take 10 minutes or you can simmer for up to 30 minutes if you have the time. 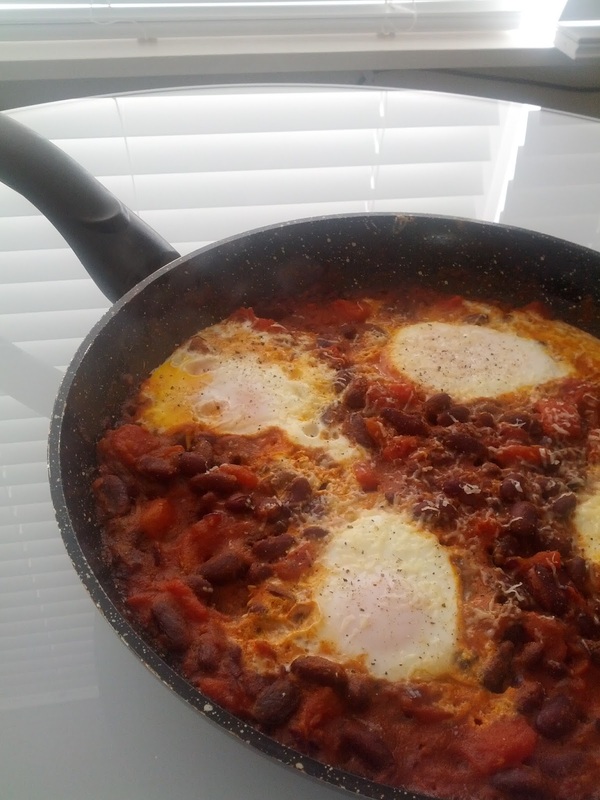 Make 4 dents or holes in the spicy tomato bean sauce and crack an egg into each one. I put them in a cup first in case egg shell slips in. Cover the frying pan (I usually throw a wooden chopping board over the top) and poach the eggs for about 3-4 minutes or until the whites are set but the yolks are still runny. Serve with some toasted chunky ciabatta or Vogels & shaved parmesan for an extra comfort kick. Enjoy!